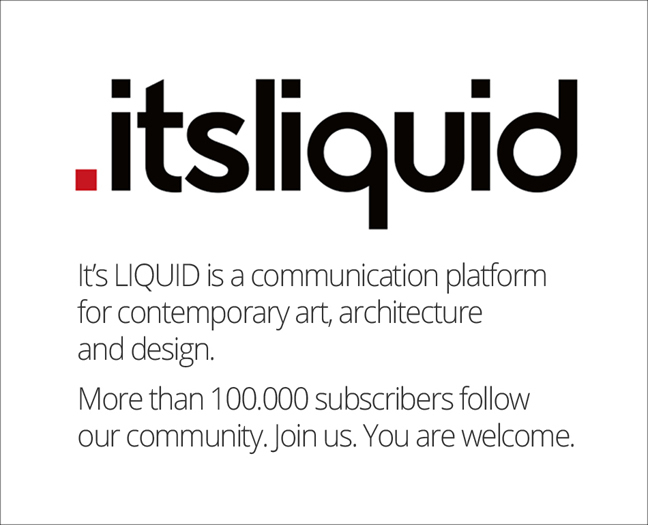 It’s LIQUID is a web based information platform, founded in 2001 by Luca Curci, dedicated to world wide distribution of information about calls for entries, exhibitions and events at some of the world’s leading art galleries, museums and foundations selected. Founded in 2005, It’s LIQUID has already built a readership of more than 200.000 qualified subscribers. Among them architects, designers, artists, collectors, art critics, curators, dealers, and other personalities of the International art, architecture and design world. It provides advertising services, press office services for events and projects, articles and specials published on the website, media partnerships services. It’s LIQUID is the official press office of Contini Art Galleries in Cortina, Venice and London. Key information: over 300.000 monthly unique visitors | over 800.000 monthly page views | over 100.000 newsletter subscribers. It’s LIQUID is based on fluidity, motion, connection and accessibility. Making things easy to do. Welcome.